There’s no need to escape London this Valentine’s Day to treat your special someone. 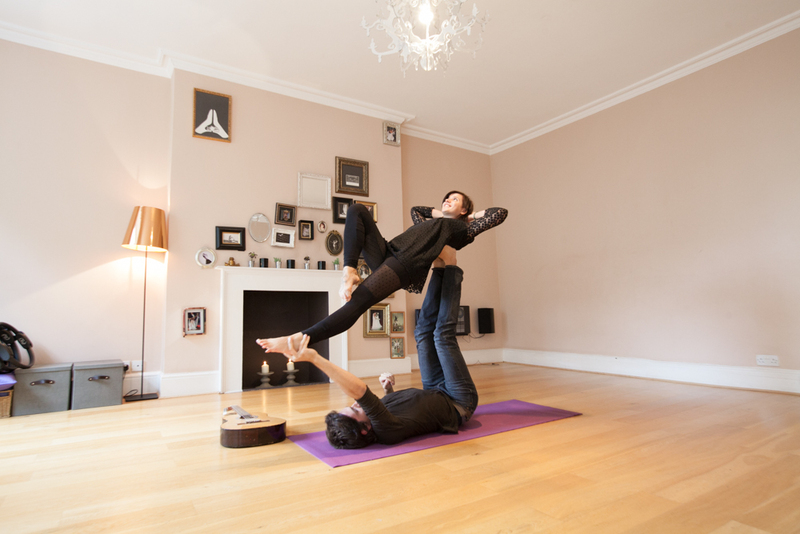 You both deserve something special so why not try a Valentine’s Day Yoga Date, set in our beautiful studio surrounded by beautiful Georgian architecture and right in central London? This unique experience will strengthen your mental and physical connectivity as a couple while Ieva and her partner Dino guide gamf.net two hours of partner and acro yoga that will also incorporate chocolate, live guitar music, and meditation. It will surely kindle the spark between both of you for the rest of the evening. Eeva is a devoted yoga teacher, senior Sun Moon Partner & Community Yoga teacher trainer, and Thai Yoga Massage therapist. She facilitates anagazawe.com community focused yoga classes and dance workshops at a wide range of events from corporate events to weddings, both in London and internationally, specialising in Social Yoga with Partner, Community & Acro Yoga and Thai Yoga Massage. Some of her yoga related achievements are teaching at Barcelona Yoga Conference, Om Yoga Show London, being featured in Lucuma and Holistic Health magazines & starring in BBC televised Morning GloryVille videos. ©2014 Egoist Body All rights reserved.